There were 18 million smartwatches shipped in the final three months of 2018, a new record (up 56% year on year). 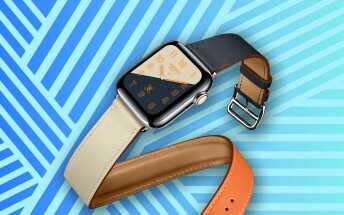 Half of those were Apple Watches as Cupertino extends its lead over the competition. For the full year 2018 the shipments rose to 45 million units and, again, Apple accounts for half of those with 22.5 million. Fitbit is a distant second with 5.5 million and then comes Samsung with 5.3 million. Samsung actually edged out Fitbit in the final quarter as the Galaxy Watch proved popular in North America and Asia, the Galaxy Watch Active looks promising too, according to the analysts at Strategy Analytics (with blood pressure tracking being of particular interest). As for Fitbit, the Versa once again proved popular. North America is Fitbit’s key market. Rival Garmin has been feeling the pressure.